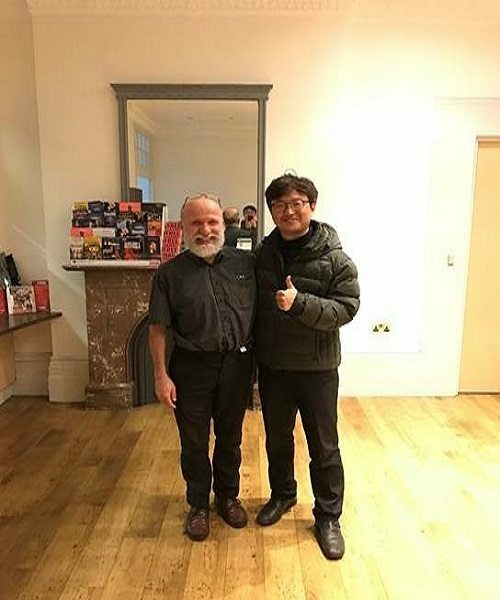 Mr Kang visited Belvedere House a few weeks ago after 20 years since he was a resident of the self-catered accommodation in South Kensington. “First of all, I appreciate your staffs’ kindness while I was staying there. I guess it’s same in 20 years. Also that is a special memory that I met you again in 20 years. When I came to London firstly in 1997, most of things were unusual to me, but Belvedere made me comfortable, and gave me many nice friends from all over the world. When I came again last week, I felt I was staying in 1997. I can’t feel any difference in mind, and seems I stayed for 20 years. Even, Mario is still here! I’m not sure I visit England later, but I’m sure I come to Belvedere if I come to London again.